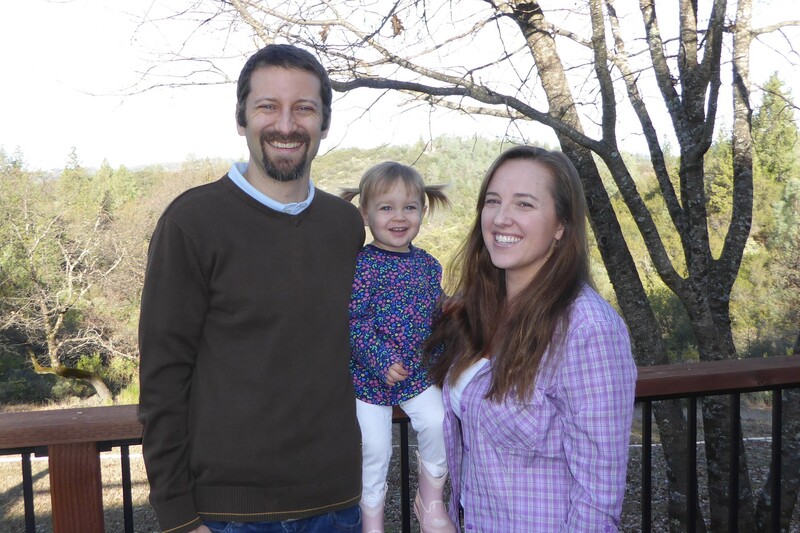 Wild Oak Family Farm is a beyond organic family farm located in Coloma, California. We started our farm in February 2018 and created this site to share our transition from a metropolitan life in Silicon Valley to a country life running a small farm. You can listen to our bi-weekly podcasts or check us out on social media using the links on the right hand side. The guiding philosophy for our farm, what we’re calling beyond organic, is based on permaculture principles and techniques. We’re going to design sustainable plant and animal systems that mimic the wild as much as possible. No chemicals, synthetic fertilizers, pesticides, fungicides…you get the idea, will ever be used. Instead of these toxins, we’ll use natural fertilizers (like chicken poop) and pest management techniques (like killer ladybugs and praying mantises) to create a farm that needs very few external inputs. For the first year or two we’ll be focused on establishing a permaculture food forest, vegetable garden, and livestock systems to produce all of our own food. Our plans for livestock include chickens, pigs, cattle, and hopefully a llama or donkey. Once we’re producing the majority of our own eggs, dairy, fruit, vegetables, and meat we’ll start selling surplus animal products. Stay tuned for those details.